Past life reading giving you what and where you lived. 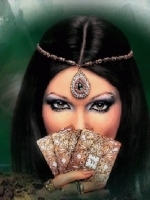 Describe your areas of expertise.I am expert in Paranormal, tarot,ouija, relationships to Past Lives. Name some specific experiences where you've used your abilities.I have had many experiences, from when I was 5 to now.